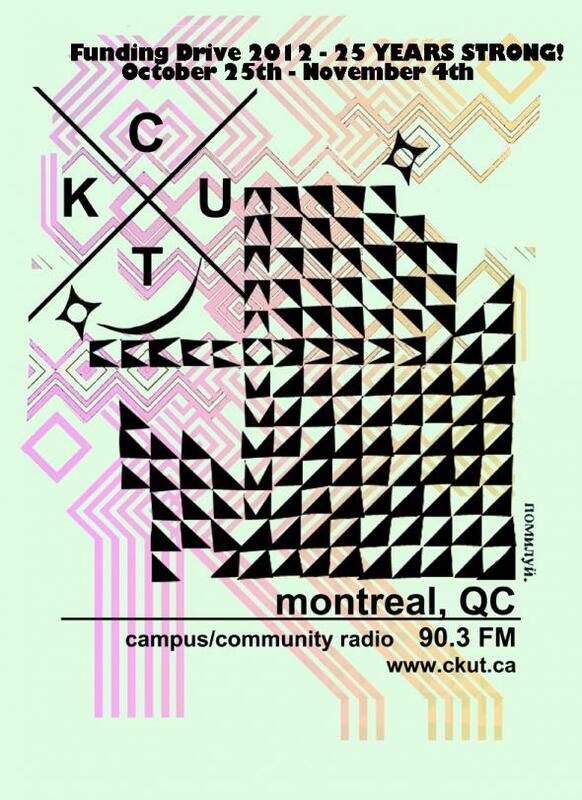 CKUT’s Annual Funding Drive took place from October 25th - November 4th. Thank you for your generous donations! We’ve reached over $50,000 and would love to bring that number up even further. Check the Funding Drive site for updates and details on how to pledge. Tell your friends, tell your family! This little radio station is now 25 years old and we appreciate every size of birthday present.